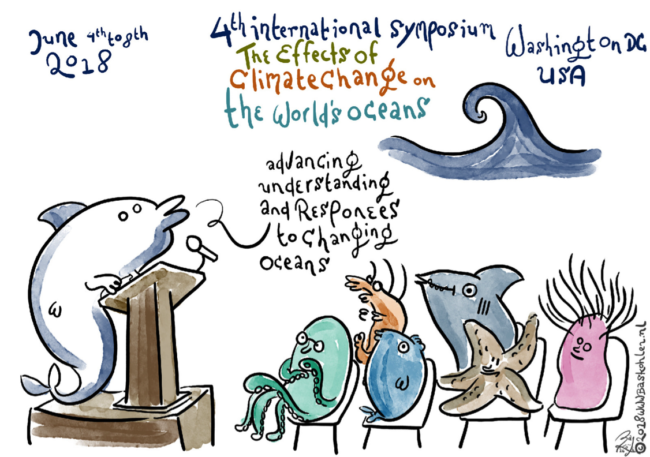 At the 4th International Symposium on the Effects of Climate Change on the World’s Oceans, scientists and natural resource managers from 50 nations came together in Washington D.C. to discuss how climate change is impacting ocean ecosystems and fisheries. All the big names in the field were in attendance, and the 5 days of presentations crystallized for me how far we have come in understanding what climate change will mean for ocean systems. But we still have a long way to go before we achieve climate-ready ocean resource management. To this end, there was much discussion of Sustainable Development Goals (SDGs), which are 17 targets defined by the United Nations to achieve a better world. But the importance of the SDG pertaining to the oceans isn’t resonating with many decisionmakers. “A survey was conducted with 3,500 leaders in the developing world…and the result was that SDG #14, Life Under the Oceans, was the least important sustainable development goal out of all of them,” said Gretta Pecl, Director of the Centre for Marine Socioecology at the University of Tasmania. 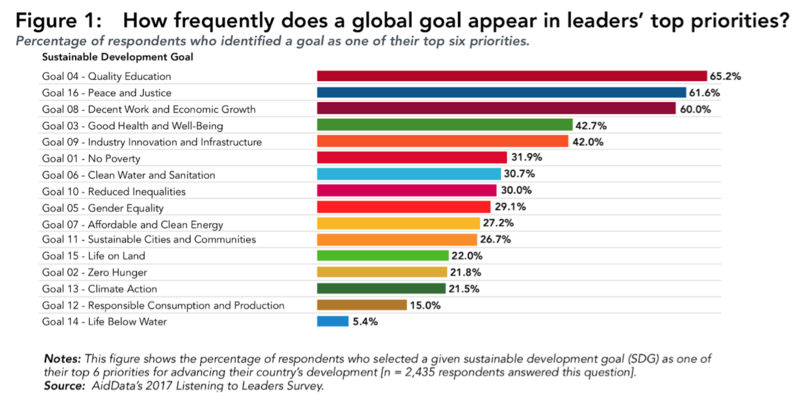 Only 5% of leaders in the developing world ranked the ocean SDG in their top 6 priorities for their country’s development. Climate action didn’t rank much higher at ~20%. We clearly need to do better to illustrate the importance of sustainable oceans to global leaders; these sobering statistics reinforced for me the importance of the Nereus program report led by Gerald Singh to quantify the co-benefits of achieving the ocean development goals for the other SDGs. 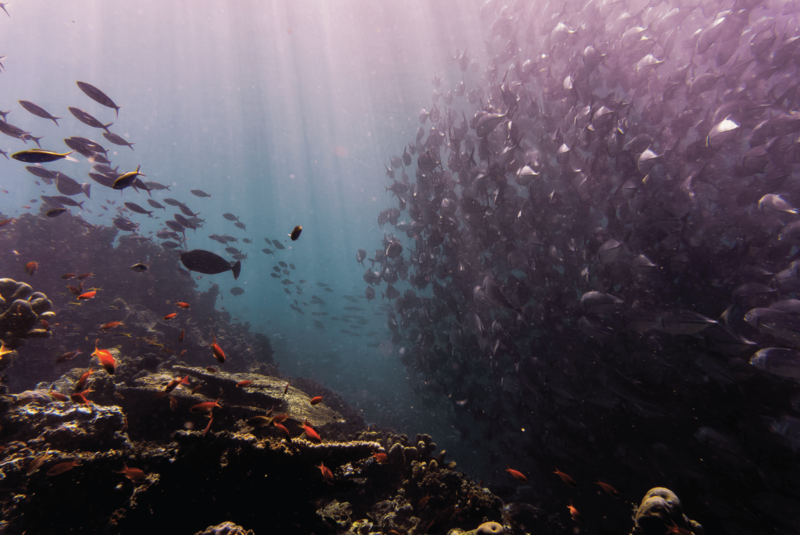 With limited resources, other development objectives may need to be prioritized first, but we can map out how these choices might limit or expand our capacity to achieve the ocean goals. Just as society ultimately was locked into use of the internal combustion engine despite simultaneous development of electric engines, Beth Fulton, research scientist at CSIRO, argued that options considered for resource management can be equally constrained by past management decisions. She cited the ubiquitous focus on “Maximum Sustainable Yield” despite our growing understanding of the importance of taking a more holistic ecosystem approach to sustainable fisheries management as an example. This phenomenon of “path dependence” may be particularly true for adapting to climate change. Avoiding the combustion engine of ocean resource management requires more forward-thinking research. In my work, I aim to highlight how fishing communities have adapted to past climate variability to inform how we might facilitate future adaptation strategies. In particular, I’ve found that fishermen are more likely to switch target species than to follow the fish they targeted in the past as those fish move pole-ward to avoid warming waters. But even this strategy is becoming more difficult as permits become more and more specialized. 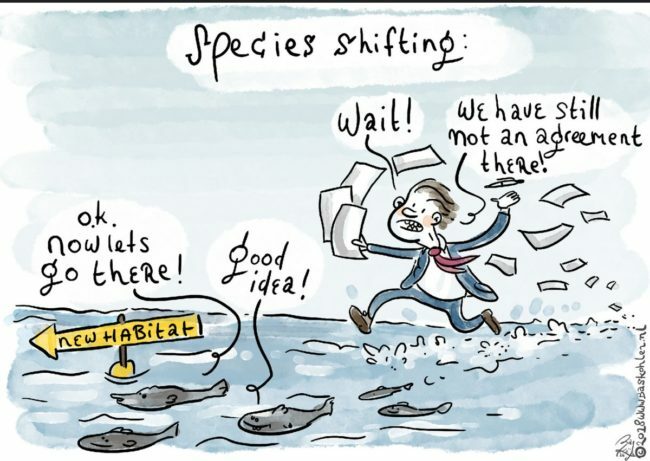 Combined with the inherent slow pace of making changes to management, our work on future projections of species distributions and other Nereus work on fisheries catch, and the potential for conflict can provide a vision of what’s on the horizon, and allow management processes to begin now, so that they can be proactive rather than reactive. One way scientists can help make that a reality is by engaging directly with policy makers. Taking advantage of the conference’s location in DC and coincidence with Capitol Hill Oceans Week, my colleague Malin Pinsky and I had the opportunity to discuss our recent paper with senate offices during the final day of the conference. In many cases, staffers were former Knauss Fellows (a marine policy fellowship) who had a sophisticated understanding of ocean issues. In others, we met with staffers with backgrounds in finance or education, and we had to modify our message to ensure it was more broadly relevant and accessible. Across the board, I was encouraged by the interest in the issues we raised, and found the senate office for Corey Booker in our home state to be particularly committed to continued interaction with us and other Rutgers scientists to ensure that New Jersey’s ocean policies are evidence-driven and forward-thinking. The second way to generate greater buy-in is by connecting better with the media. The conference had several special events focused on communicating science with the media, including a mock press conference where leading scientists were grilled by a panel of journalists from the New York Times, the Guardian, National Public Radio, Science Magazine, and Oceans Deeply. The stakes were raised even further at an evening event, where scientists had an open mic to deliver a 2-minute pitch of their science. For at least one of these scientists, the effort paid off with news coverage a few days later of their issue. While I didn’t take the stage myself, seeing what worked and didn’t, in combination with formal COMPASS training I received a few months back, will make me more confident in making my science relevant for today’s news cycle and being a key player in moving from the study of climate impacts to finding ocean solutions.